When you are coming into North Myrtle Beach from North Carolina, there are chiefly two ways to drive in, either by Hwy 17 through Little River, or down Highway 9 through the small, unincorporated town of Longs, SC. Often thought of as a part of Little River because they are so close, it is a unique community with low taxes, all kinds of businesses, stores, restaurants, and many of the best golf courses in the Grand Strand. Technically beginning at the intersection of Hwy 9 and Hwy 57 heading northwest, most consider Longs as stretching up to the Intracoastal bridge, even though this section is actually incorporated into Little River. One of North Myrtle Beach's largest hospitals and emergency centers is located just before the bridge, and is a quick drive up the road. One of the Horry County office buildings is on Hwy 57, as well as the DMV. As the other beaches are expanding further out with brand new planned developments, so has North Myrtle Beach, with Longs and Little River growing every day. The settlement was originally founded by the Long Family, known for corporations such as JD Long Masonry and Long Enterprises. Their descendants and businesses are still in the area. There are many miles of woodlands and swampland along Highway 9, and this is providing nearly endless room for new homes and condo complexes by well-known builders. For those looking for a brand new home or land, this is the place to look. From golf course condos and homes to farms and acreage, Longs offers it all, and at a more affordable price than most of the Grand Strand. It is also one of the few places where one can put up a mobile home. Most of the subdivisions have an HOA to prevent them, however. One of the most popular areas in Longs at this time is the Long Bay development and golf course, nearby a new strip shopping center offering several very good restaurants and unique stores. Colonial Charters is a huge development near this part of Longs, with homes, townhomes, patio homes, and a huge condominium section. The county building, tax office, and DVM are located just off on Hwy 57, and as you continue down the road which eventually runs into Little River, there are scads of brand new housing subdivisions in all price ranges. We invite you to browse through some of the listings below, and if you will give us a call, we can help you find exactly what you're looking for. Real Estate in Longs is an ever-growing opportunity for investment. 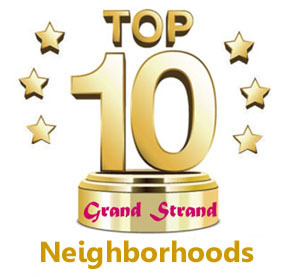 For a more detailed list of the communities and homes in Longs and Little River, see our sister website for North Myrtle Beach real estate.